A fully functional WordPress job board theme which helps you to realize your professional job board. 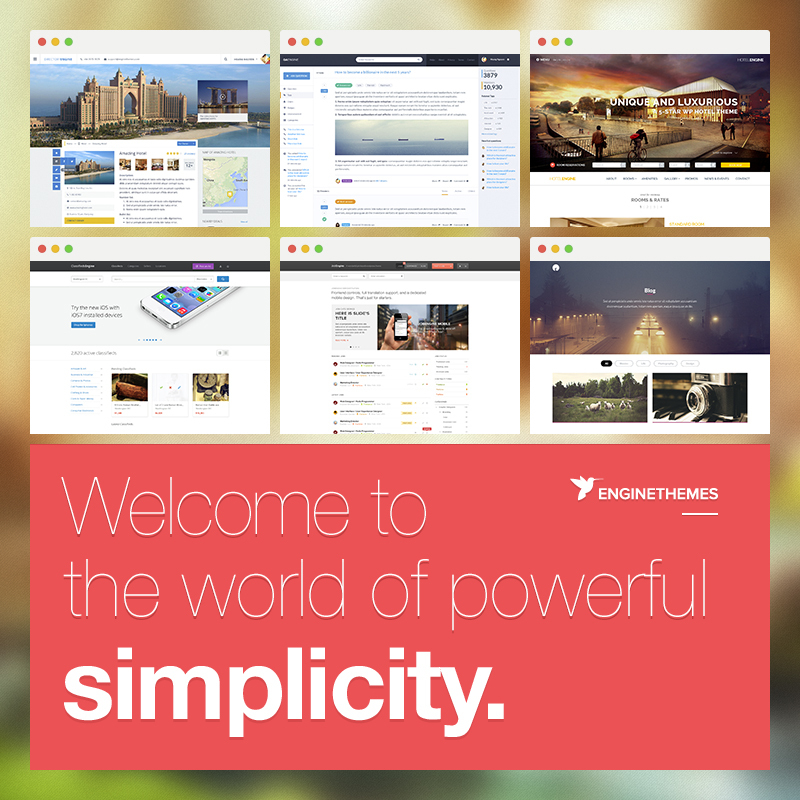 JobEngine theme combines powerful customization tools with a simple user experience. Smart design tools: Easily creating striking layouts for your site with the Adaptive Color Scheme right in the front-end. Mobile Optimized: Our dedicated mobile themes are specially built for all mobile devices. Different extensions: A store full of helpful extensions is waiting for you. Choose some suitable ones and optimized your job board even more. Package option: We offer JobEngine Full Package so you can purchase the theme and all extensions with a discount up to 35%. Full Package will automatically update future extensions. Insane, huh? We’re doing it for real! A futuristic designed Classified Ads Theme coming with simple user experience and powerful built-in design tools. You will have a helpful tool to expand your online revenue. WooCommerce integration: You can upgrade your site to a whole new level, not just a normal classified site but a marketplace with WooCommerce integration. Eye-catching ad slider: Supported with Revolution slider, you are free to create various beautiful sliders to attract your users. Rich extension library: A store full of helpful extensions is waiting for you. Choose some suitable ones and optimized your classified site even more. Perfect responsiveness: ClassifiedEngine delivers beautiful appearance on all screen resolutions. Package option: We offer ClassifiedEngine Full Package so you can purchase the theme and all extensions with a discount up to 35%. Full Package will automatically update future extensions. Insane, huh? We’re doing it for real! The first WordPress directory theme that lets you build your own site from multiple content modules, along with dedicate mobile design included. Create your own pages easily with modular UI structure: Saving tons of time building up the site, you can simply use the offered blocks to experience and find out the best structure. Easy front-end place submission with UX optimized: No complicated work needed, users can easily complete all the form in minutes. Advanced search system: Users can not only search for a place but also relevant ones using the search nearby function. 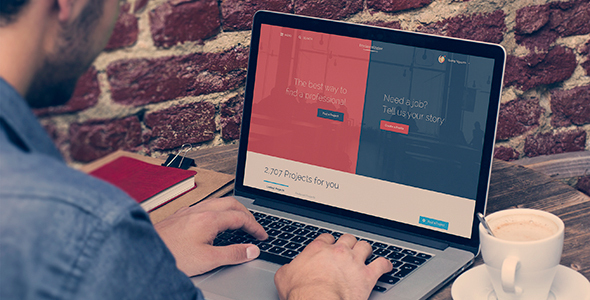 A WordPress freelance marketplace theme beautifully crafted with simplicity in mind. You can get your site up and running in minutes. Escrow system: Create a trustworthy working environment for the users to reduce the risk of online fraud for both freelancers and employers. Modular UI blocks for custom pages: Saving tons of time building up the site, you can simply use the offered blocks to experience and find out the best structure. Front page video background: With video background supported, you can quickly integrate a video and leave a professional impress on your visitors. Bundled premium slider: Using Revolution slider, you can create various slides to make your site livelier. 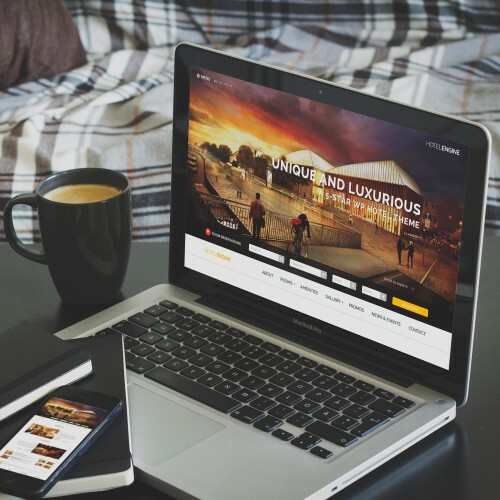 An elegant WordPress hotel theme with a responsive, sleek design and rich features. This is a complete solution for you to demonstrate your hotel’s excellent service. Impressive design: HotelEngine is offered in two independent versions: Comfy and Classy, whichever fits your hotel best. 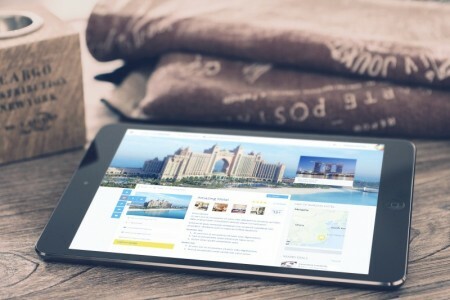 Multi-Language support: HotelEngine delivers a multilingual site with WPML plugin, so your customers won’t have to deal with language headache anymore. Revolution slider: The premium Slider Revolution is included to leave a pleasant impression on your customers. Booking support: An advanced booking management is integrated that allows admins to modify details of all bookings or even manually add one. Package option: You can purchase Comfy and Classy for just one price! Check out the deal at the bottom page of HotelEngine. A new generation of WordPress Question and Answer theme with a content-focused UX and a refreshing full-width layout design. Modern full screen design: No more worry about being blended. With the modern design QAEngine offers, your site will always appeal to the users with a professional look and feel. Live notifications on site: QAEngine offers a real-time notification system for users to keep track of new events easily. Package option: Get both ForumEngine and QAEngine for a discount up to 20%. Scroll to the bottom page of QAEngine and explore. A WordPress forum theme which helps you to create your own online community. You’ll be able to construct your discussion board with little effort. Simple yet modern design: Your site will never go out of fashion, it’ll always appear beautifully and look up-to-date. 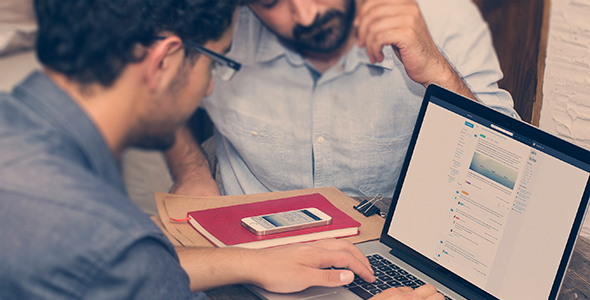 Optimized for discussion: With more interactive features for users and content- focused interface, your site gets the hook to make users come and come back. Easy administrative tasks: Easily control and manage your content right in the interface, only visit the back-end occasionally to modify some advanced settings. Package option: Get both ForumEngine and QAEngine for a discount up to 20%. Scroll to the bottom page of ForumEngine and explore.